For the second Jury of my "Sali Pazari" Project I wanted to make a time lapsed video. There's a die for gadget for this purpose. 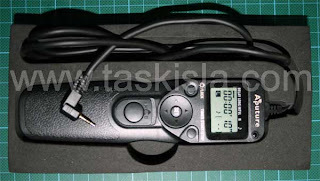 Canon TC-80N3 Timer Remote Control. 1) It's not compatible with my Canon 400D or known as Rebel XTI. I've searched for the input values(V,I) of my camera. 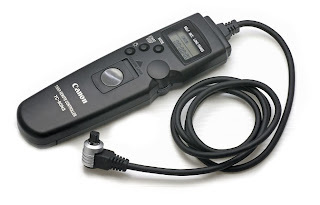 It's compatible with the Canon TC-80N3 output but the socket needed to be changed with a 3/32" connector. With the chart below doing some soldering seemed to work for me..
2) Expensive for a one time project. $140 + s&h from US and nearly €160 retailed here. I've found the Chinese Vendor Aputure which produces imitation of TC-80N3. Contacted them if they could build me one with the specified connection. Solving both my problems for $29.99 + s&h!!! Tested and it works like a CHARM!!! Now all I need is a shiny sky at 5:30 am on this Friday!! I see this article gets a lot of attention. If there is anything you want to ask about this gadget, just shoot in the comments. And I'll be answering all..
You can find it at ebay, but I'm sorry I can't provide the link to the vendor I've bought from. I don't remember it and I'm far far away from my PC.